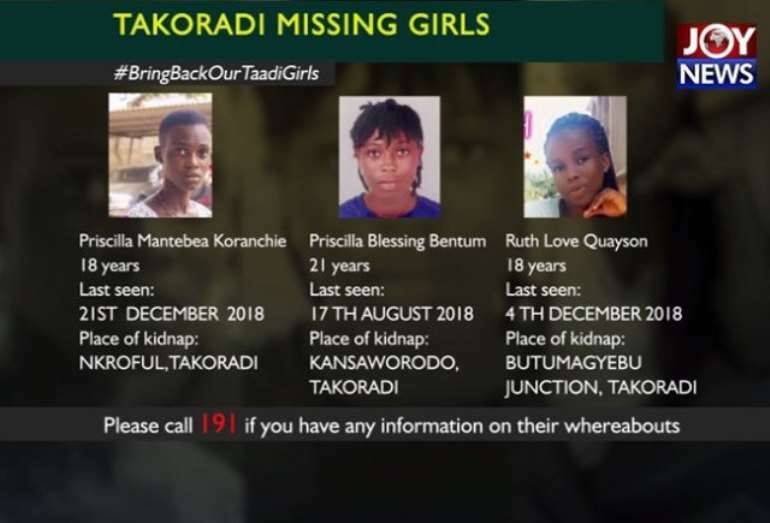 The families of three suspected kidnapped young ladies in Takoradi have issued a one-week ultimatum to police to find their daughters. Their ultimatum follows allegations by a key suspect in the matter, Samuel Oudotek Wills, that he was aided by a police officer when he escaped from cells last December. “It’s getting to three months, where is my sister? Whether she is alive or not we don’t know anything. We are joking with this guy [key suspect]…what is going on in Ghana here? Seriously, we don’t understand,” said Rebecca Quayson, a sister of one of the missing young ladies, Ruth Love Quayson. The key lead in the suspected kidnapping cases that happened in Takoradi, the Western Region capital, revealed in court Monday that a police investigator helped him break away from police custody. Police believe is the leader behind three kidnap cases reported in the Sekondi-Takoradi metropolis from October to December 2018. Samuel Oudotek Wills told the court on Monday that he does not know the name of the said officer but he can identify him. Mr. Wills, however, noted that he is not aware of the current location of the said Kwesi and pleaded for some time from the court to locate him. Photo: The suspect is currently being tried for escaping from lawful custody. The case has been adjourned to February 18, 2019. 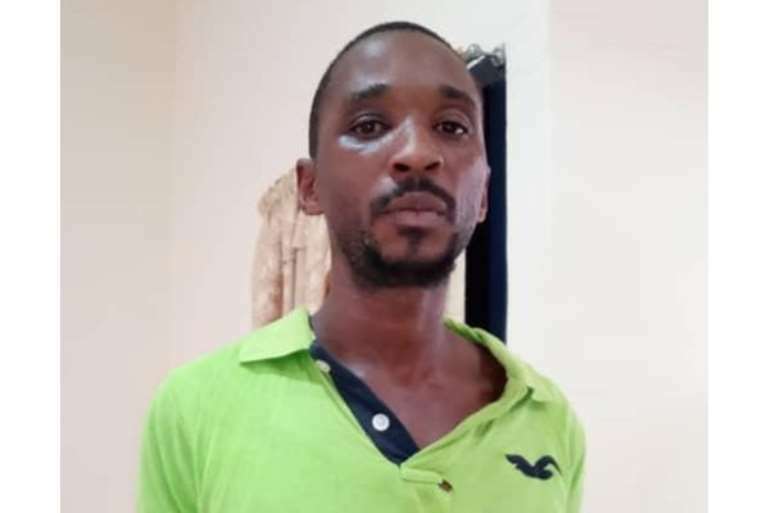 Wills, a Nigerian national, is currently in Accra helping the police with investigations into the whereabouts of the three missing ladies: Priscilla Mantebea Koranchie, Priscilla Blessing Bentum and Ruth Love Quayson. After the court hearing on Monday, Rebecca Quayson said the police are not doing enough. “If we don’t hear anything by end of this week, seriously we will do something…because we can’t take this anymore. It’s like they are joking with us,” she said. Chairman of Parliament’s Defence and Interior Committee has defended the police’s handling of the kidnapping of three girls in Takoradi, insisting they are doing their best. Seth Acheampong said they are on course to helping find the missing girls and reuniting them with their families. “The bottom line is for them to go after the leads that they are getting…we need to understand and appreciate the standard operating procedures of investigations,” he told Joy News’ last month. According to him, it is not right for the police to tell the public what leads they have as that will compromise the investigation and alert the perpetrators to cover their tracks.